It’s that time of the year again, and, no, I am not talking about the holidays. Every December 64 of the nation’s best teams get together in what is called the NCAA Division I Women’s Volleyball Championship. I know Husker fans are very familiar with this tournament because Nebraska is usually a top-10 seed. However, what people may not know is how much preparation is needed and how many nerves are cycling through the players’ systems. One of the many reasons players experience those nerves is because throughout the preseason and conference season there are always chances to redeem yourself if you lose. If you lose in the tournament though you are out, done, season is over. This leads into how much preparation is needed. You want to be the most-prepared team in hopes of turning that preparation into making a win easier for your team. Nebraska is headed back to the tournament for the 36th straight year so this is familiar territory for the Huskers, and you can be sure the players are hearing and doing some things that have been proven to work over that long run. Coach John Cook has a few key practices he likes to use this time of year to help keep his team relaxed and focused. Navy SEALs Breathing: This is a breath in for 5 seconds, hold for 2 seconds, release for 7 seconds. Coach Cook has had a former SEAL consult with the team over the years, and this is one of the tricks SEALs use to deal with stressful situations. Considering they’re in some of the most stressful situations in the world, it will probably also help when you’re down 13-11 in the tournament and trying to save your season. Visualization: Nebraska will get its film study in as well as work on things it needs to improve against specific opponents, but positive reinforcement becomes a bigger piece of the puzzle come tournament time. I guarantee you Coach Cook has the HuskerVision staff cutting together clips of the team’s best plays as well as motivational clips from movies to show the team over its tournament run. 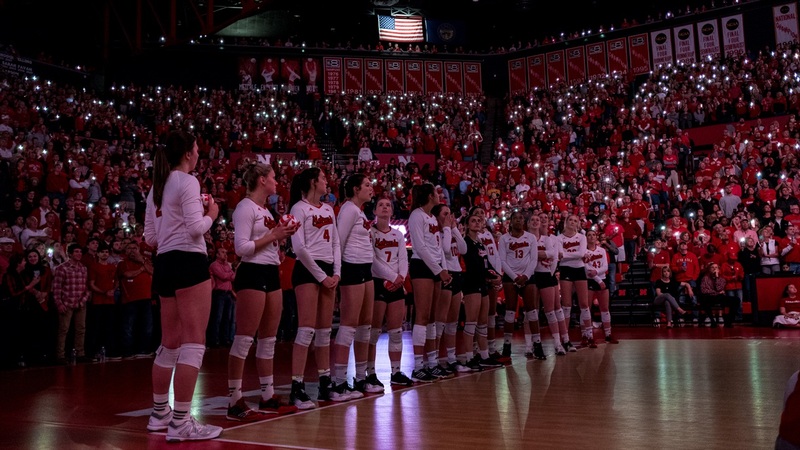 Lean on the Themes: If you’ve followed Nebraska volleyball this season, you’ve probably heard a coach or player mention “with each other, for each other” or “why not us?” Those were themes the team decided on over the summer, and it will lean heavily on those themes now. As the stakes get higher in the tournament, having these mantras that have been around since the players were alone in the gym in June can help pull them together and help take the big moments of tournament play and bring them down to a level when nobody was watching and there was little pressure. That’s part of the value of having these sayings each season. It’s a reminder to the players that, no matter what situation they’re currently facing, they’ve been training for it for a long time. The tournament is a dream come true for some teams and a nightmare for others. From a disappointing upset to a miraculous victory, there are always surprises. It definitely makes for an eventful few weeks for fans, but a stressful few weeks for players and coaches.